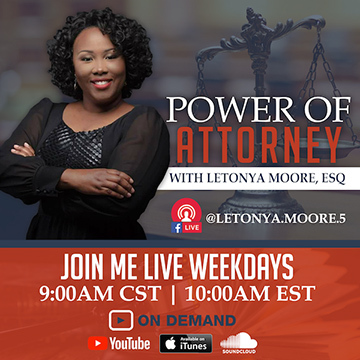 Power of Attorney with LeTonya Moore is a digital talk show (vlog) features emerging thought leaders, experts in their fields, and noted authorities in the marketplace. On Power of Attorney, we focus on providing answers to the questions today’s entrepreneurs have and providing resources to increase their bottom lines. SOAR to New Heights of Happiness and Productivity! Susan Bock is a leader in the field of creating transformational results for women entrepreneurs who are working way too hard for disappointing results. Her clients span the spectrum of solo-preneurs who are struggling to find their next client to the seasoned entrepreneur who wants to upscale their business.Eileen Lichtenstein, MS. Ed. is CEO of Balance & Power, Inc and the author of “SOAR! with Resilience®: The Interactive Book for Overcoming Obstacles & Achieving Success”. Her eBooks specialize in personal development and executive coaching-training. Subjects include stress and anger reduction management, life and career coaching, effective communication and career challenges. Her background includes bio-feedback, early childhood education, faculty Hofstra University and CUNY, Anger Management, Parent-Centered Coaching and EFTtapping: Emotional Freedom Technique. 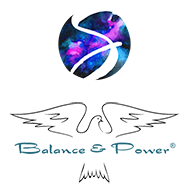 3 FREE eBooks from Eileen Lichtenstein and Balance & Power Inc.